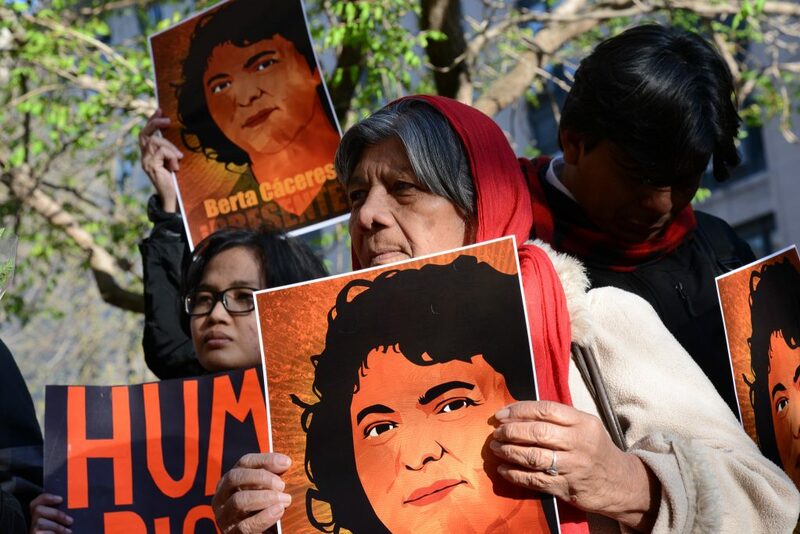 Berta Cáceres, an indigenous Lenca woman, co-founded the National Council of Popular and Indigenous Organizations of Honduras (COPINH) in 1993 to address the growing threats posed to Lenca communities by illegal logging, fight for their territorial rights and improve their livelihoods. In the aftermath of the U.S.-favored military coup in 2009 that ousted the reformist President Zelaya, huge corporate megaprojects were spawned in resource-rich Honduras, covering 30 percent of the country. Imperialist-financed DESA, without the consent of the Lenca people, began the giant Agua Zarca Dam project across the sacred Gualcarque River. Cáceres led a popular campaign against the dam.